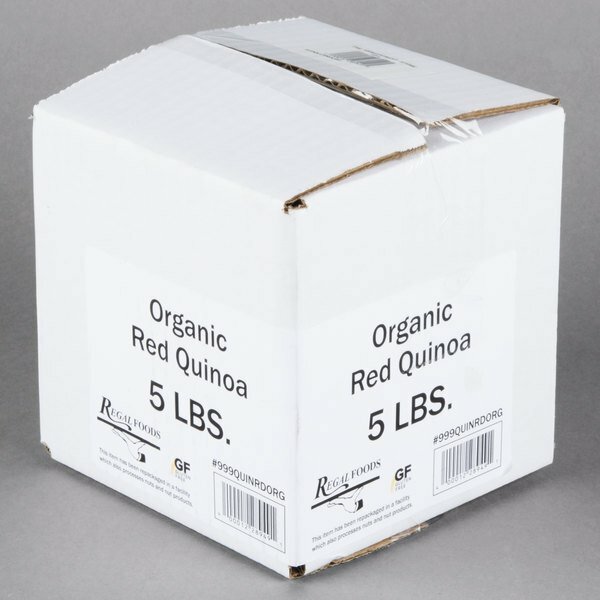 Regal Foods Organic Red Quinoa - 5 lb. 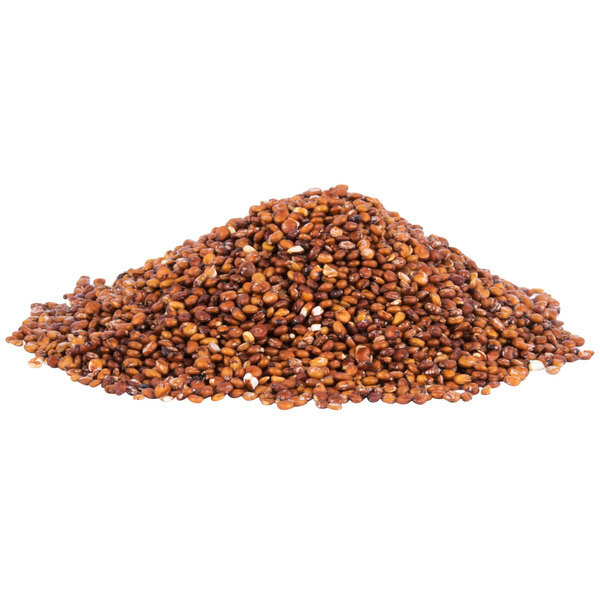 This Regal Foods organic red quinoa makes a naturally delicious and nutritious addition to any recipe! "This is a really red organic quinoa i'm very happy with the price of it that's almost what I pay for 10 pounds I put some in my vacuum sealer to save it for later on"
Quinoa grows in different colors, and although the taste is similar among the varieties, you can choose the color that is appealing for your recipe. 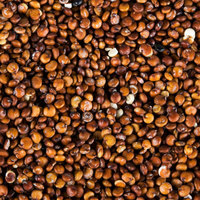 Additionally, this red quinoa contains healthy manganese and magnesium. 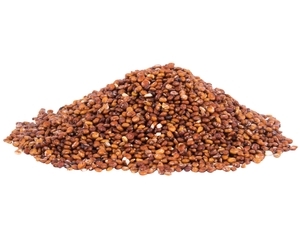 Overall User Rating: Regal Foods Organic Red Quinoa - 5 lb. Gorgeous color, lovely nutty rich flavor. 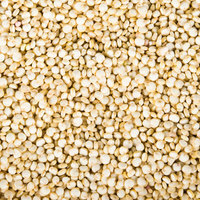 This organic quinoa is a nice change from the more common grains we have used in the past! It is very inexpensive - especially for organic - it is loaded with vitamins and minerals as well as antioxidants! I'm so happy that the Webstaurant store carries quinoa, and how lucky am I that they carry all three colors! I do have to admit though, the red is my least favorite. 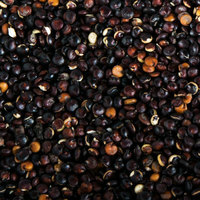 Even when cooked alone, about half of the little seeds end up looking like the white quinoa. And it's not as striking as the black quinoa. 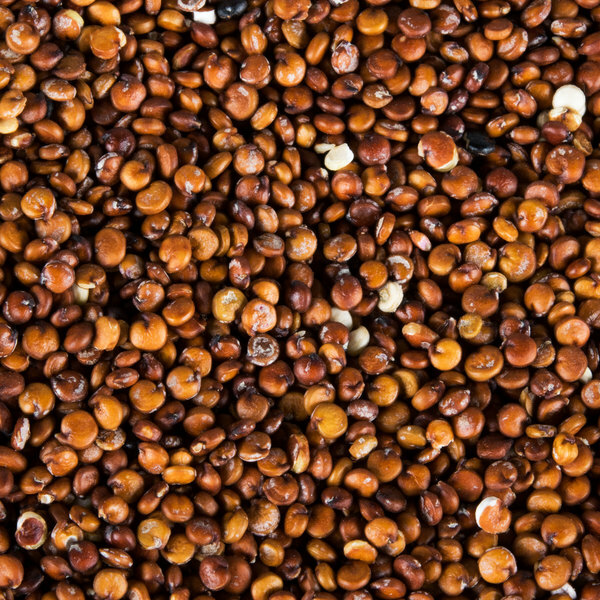 But nutrition-wise, quinoa is quinoa, and it is nice to mix up the colors every once in a while. Good quality in terms of taste and preparation (haven't found any little pebbles so far). I forgot to wash it the first time I used it and no soapy taste that you sometimes get with other brands (which comes from the outer part of the quinoa if it hasn't been washed). Now that I know that, it cuts down on time to prepare because I'll just add water, no need to wash it three times like I used to! Not only is this Quinoa super healthy and organic but it it a great gluten free option for anyone with those health concerns! It is full of nutrition and vitamins and even protein too!!!! It cooks up well and is a bit flaky on its own so we combine it into other recipes like our hummus quinoa dip! 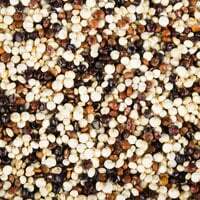 I love cooking with red quinoa! The price and quality are great and I love having it in bulk since I eat it so much!